Abhinav Kashyap, whose directorial debut 'Dabangg' is the biggest hit of year so far, rubbishes rumours that he won't be making the sequel of the film but adds that it will take a couple of years for the second edition to hit screens. "This is just a rumour. I want to know if I am not making it, then who is making it? I even spoke to Arbaaz (Khan)...even he doesn't know from where these rumours are coming," Kashyap told IANS. There was much speculation that the sequel to the Salman Khan-starrer would be directed by actor-producer Arbaaz Khan or his brother Sohail Khan. Kashyap added: "'Dabangg' sequel will happen in two years from now because Salman is committed to do two or three films besides television shows and live shows. To make a film, you need time, especially from the lead cast, which I would not have before one and a half years from now." 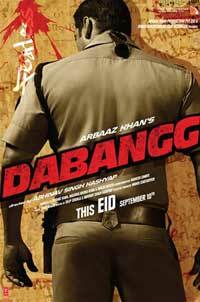 The director says that he would, however, be making another film before the "Dabangg" sequel. "I haven't started writing the script of 'Dabangg 2'. I have started developing the script of what I want to do. I would make another film before 'Dabangg 2'. 'Dabangg2' would not be my second film," said Kashyap.